Copywriting vs Content Writing: What's the Difference? Many aspiring authors of web content struggle to find their niche between these two pervasive styles. It can be difficult for a beginner to parse through the copywriting vs. content writing dilemma. “But isn’t copy a kind of content,” we hear them nitpicking. They won’t even accept “kind of” as an answer! Here, we’ll try to address the issue more closely. Everyone agrees that authors should keep in mind what they’re writing, but that’s about as far as consensus goes. There are varied opinions on what constitutes the overlap between the two styles. So let’s first look into what it means to write copy, and what to write content. When writing copy, you’re trying to appeal to potential customers. You’re writing to capture attention, not to engage on some abstract level. Copy must be punchy and memorable — able to make a brand stand out in a sea of competitors. But it’s rarely enough to be informative — you should also strive to be captivating and direct. 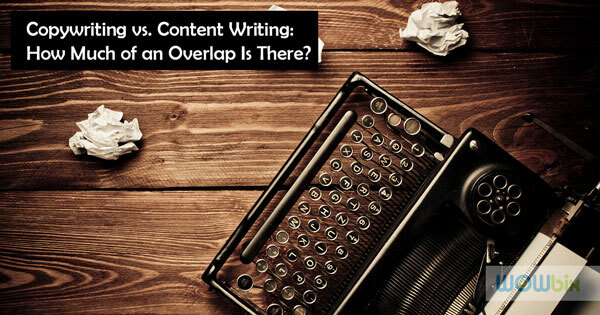 On the copywriting vs. content writing issue, try not to swerve from former to latter too much. There’s always that temptation to show your writing chops and turn on the style. This common mistake can have serious consequences, both for the brand and for your career. The entrée following copy’s appetizer, content writing is more extensive and more substantial. As a content writer, your focus won’t be on just grabbing the attention of readers. Sure, you want that too, but your main goal is to engage them. The average online content reader is superficial almost by definition. They rarely read, but often skim. Your goal is to change that and draw them in. You’ll have a word quota that you should fill with content that people will want to read through. That’s easier said than done, but hey, that’s why you’re paid the big bucks. As for the copywriting vs. content writing question, the latter can easily adopt some qualities of the former. You’ll be tempted to go low and hard, hitting the reader with your sharpest stuff and moving on. That approach has its advantages, but you shouldn’t overdo it. For digital marketing purposes, you should always keep in mind whether you’re supposed to write copy or content. Still, any text written for the web is bound to contain elements of both styles. Though good copywriters prioritize the quick hits, they can also be fairly substantive. Though good content writers favor deep engagement, they can also write punchy prose. What both styles share are the technical sides of web-based writing. Clarity. Readability. Search engine optimization. Whichever side of the divide you end up on, be sure to keep hitting those keywords. Ultimately, it’ll be up to you to decide what kind of content-copy crossover best suits your needs. If your writing has a dual purpose, you might be able to find your place in the middle. But if purposes don’t dovetail nicely, just stay focused and stick to the side you’re on. reading this web sіte’s poѕt to be updated daily. It ϲarrіes nice material.